The stats don’t lie: including social proof in your marketing materials significantly improves their success. Numerous studies suggest that due to our inherent need for social validation, we place an emphasis on buying products and engaging with companies that others see as credible. Testimonials are perhaps the most widespread of all types of social proof. They allow potential customers to relate to your business through peers who are already engaging with it. As such, they work well on a wide variety of printed materials, such as brochures, postcards, and table talkers. Two considerations should play into your decision to add a testimonial to a printed piece: whether you have the space, and whether your audience will be able to read it. Including a quote on a yard sign or magnet, for example, may not be the best use of space. Regardless of where you use them, testimonials should appear credible. A simple sentence that states, “This business is great!” will do little to convince potential customers that this is actually the case. Instead, find real customers who can explain why they think your business is great. Showcase an honest line from a real testimonial. The more concrete the examples, the more credible the testimonial will become. Finally, include visuals, such as an image of your customer, to help enhance your testimonials on brochures or postcards. Expert opinions and endorsements are similar to testimonials in formatting and the space they occupy. But instead of relating to the audience because of a peer-to-peer relationship, this type of social proof works especially well because of a psychological concept known as the halo effect. This cognitive bias describes how our opinions about one person carry over to the people with whom they are associated. As it relates to marketing, If we believe a particular person in our industry to be a credible thought leader, we tend to follow her opinions on the best businesses and products to use. Highlighting the opinions of people whom your audience perceives to be experts raises the credibility of your printed products. Social proof can also be more in depth than simply including a quote from a customer or expert on your printed materials. Case studies as social proof are particularly popular among B2B businesses, showing customers in-depth examples of how previous client-business relationships have resulted in positive results. Create a brochure specifically focused on a case study. Now you have the space to go into detail about the initial problem and how your company helped solve it. You can even include customer quotes, visualized data points, and a lessons-learned section. Then, distribute the brochure to potential clients who have asked about past examples of your work. Your case study has turned into a printed piece for your business. Create the case study on your website and link your audience to it from your printed materials. A simple call to action, such as, “Learn more about how we helped XYZ Company succeed” is easily included on a postcard, presentation folder, or business card. While the case study will live online, merely mentioning it on your printed materials can enhance your credibility. This wisdom-of-the-crowds appeal works because of another psychological concept, known as the fear of missing out. If your audience believes that others around them are taking advantage of an opportunity easily available to them, they likely want to be part of the same group and opportunity. Because of its simple nature (one sentence is usually all that’s needed to achieve this type of quantitative social proof), this option works on almost any printed material. Whether you choose to include it on a postcard, roll-up banner, or plastic mailer, it will help convince your audience to give your business a try. Perhaps the single easiest type of social proof to include on your printed pieces are badges of endorsement or accreditation. If your business recently achieved any type of honor, recognition, or other official endorsement from a related brand, include it on your printed materials wherever possible. For example, you may have recently been voted one of the best restaurants in St. Louis. That honor matters, and including the relevant batch helps communicate your quality to your audience. Alternatively, depending on your industry, you may need specific certifications to operate. If, for example, you are a certified electrician, including a batch stating just that on your printed materials distinguishes you from competing electricians who may be certified as well, but don’t communicate that fact. In short, social proof comes in various forms that help you leverage the power of customer testimonials, expert endorsements, case studies, badges, and more. 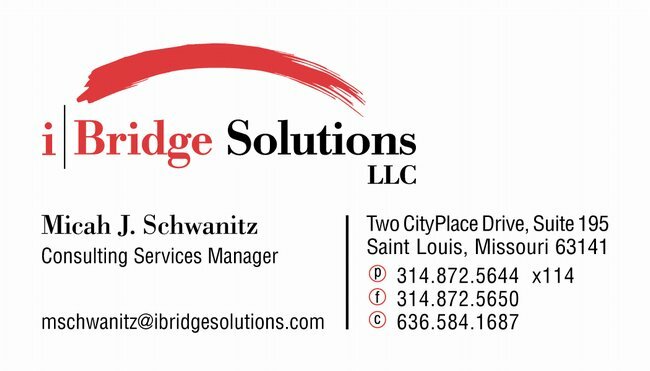 But regardless of the printed materials you use to promote your St. Louis business, including social proof can enhance the success and persuade your audience to engage with you. Ultimately, the goal of your printed marketing is to increase your business—including social proof helps you do just that.